Any time now, Malaysians are expecting parliament to be dissolved and general elections to be called. It comes at a time when Malaysians have grown increasingly concerned about the state of their nation after over 55 years of one-party rule. Rampant corruption and gross abuse of power have wrought untold damage. The institutions of our democracy – parliament, the justice system, the civil service and the media – have been rendered dysfunctional by an overbearing executive. Predictably, respect for human rights has deteriorated; billions have been lost to corruption and the country continues to slide in terms of key benchmarks on transparency, corruption, press freedom and good governance. More than 300,000 Malaysians migrated in 2008/09 alone. While the government has publicly committed itself to liberalizing the public square, its actions have left much to be desired. Political reforms have merely altered the letter of the law while leaving intact the spirit of repression and control behind them. In short, the reforms are nothing more than an exercise in deception. If nothing changes, Malaysia could well find itself a failing state. Other citizen initiatives have also received hitherto unheard of levels of support. This rising political activism is profoundly encouraging and can only be good for democracy. Now on the eve of the very critical 13th general election, both hope and fear abound. The hope is that change can be effected in a peaceful and democratic manner through the ballot box and that we can reclaim our democracy, regain respect for human dignity and rebuild our nation. The fear, on the other hand, is that the will of the people will be thwarted by massive electoral fraud or by other means. In the last general election, the government was clearly unprepared for the huge swing to the Opposition and the corresponding loss of key states. This time around, their actions suggest that they are not going to take any chances. Thousands of dubious voters, for example, have suddenly been registered with many sharing the same postal address. Migrant foreign workers also appear to have been illegally added to the electoral rolls. These concerns are so widespread that 92% of Malaysians surveyed recently wanted to see the electoral rolls cleaned up before the elections. Clearly, the Elections Commission no longer enjoys the confidence of the electorate. Indeed, there are already so many discrepancies and inconsistencies in the electoral roll that some consider it almost impossible to have free and fair elections. The Elections Commission, of course, denies these allegations but refuses to carry out an open and transparent investigation. To all this may be added the gerrymandering that has gone on for years as well as the government’s near total control of television and the print media. The electoral playing field in Malaysia is, therefore, anything but level. The Prime Minister has called on the Opposition, as well as all Malaysians, to accept the results of the elections. It is a reasonable request provided that the elections are conducted properly. In any case, he himself has not given a firm commitment that he and his party will also respect the results of the elections and facilitate the peaceful transfer of power to the Opposition, should it somehow win. Malaysia’s partners abroad, particularly other democratic governments, are no doubt already fully aware of the situation in Malaysia. Their ambassadors and high commissioners stationed in Kuala Lumpur would have surely briefed them concerning the unfolding situation here. Besides, many heads of government, foreign ministers and others have also visited Malaysia over the years. Hopefully, they saw more than gleaming towers, shiny new cars and easy pickings. Regrettably, democratic nations all too often put strategic and business interests ahead of the very principles of freedom and democracy upon which their own nations are premised. 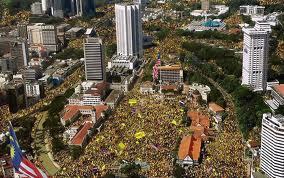 The question is what will other democracies now do at this critical time in Malaysia’s history? Will they stand on the sidelines or will they stand up for democracy? No one is suggesting, of course, that they send in the marines, impose sanctions or plot regime change; the struggle for democracy in Malaysia is ours and ours alone. It will be won or lost on the strength of our own courage, conviction and determination to bring about peaceful change. There is much, however, that other democracies can legitimately do to help. They can, for example, insist that the government conducts the elections according to internationally accepted democratic standards and in an open and transparent manner consistent with our constitution. They can shine a spotlight on the whole electoral process and, if it proves to be fraudulent, deny the government the legitimacy that it seeks within the community of democratic nations. Democracies must hold each other accountable, must they not? 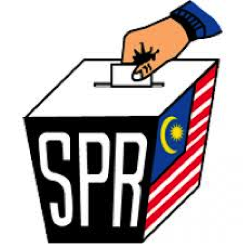 Democratic nations can also press the government of Malaysia to accept real election monitors, not the ones from non-democratic nations that the government tends to prefer. Malaysia has, after all, sent election monitors to other countries and should be open to receiving them as well. In fact, parliamentarians from all democratic nations, and particularly from the Commonwealth, should visit Malaysia in one capacity or another during the elections whether or not they have been invited. 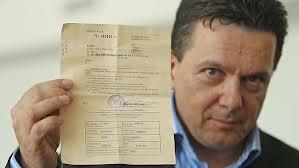 They might suffer the same fate as Australian Senator Nick Xenophon (picture right) who was deported from Malaysia recently as a “security risk” for coming to talk about electoral reform, but at least it draws attention to the situation in Malaysia. Western democracies in particular have tremendous leverage. They have used it many times before to secure defence and other contracts or gain strategic advantage. They ought to use that leverage now to help ensure free and fair elections. Perhaps, events elsewhere in the world – especially the sudden rise of more radical, anti-western regimes – have caused democratic nations to be wary of change. As the argument goes, better the devil you know than the devil you don’t. Those in Malaysia who seek to resist change are counting on that. Contrary to official propaganda, therefore, change will not bring chaos and uncertainty but real stability, prosperity and greater freedom for all. 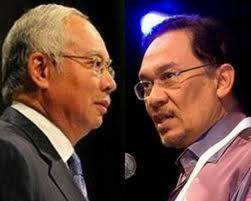 A free and truly democratic Malaysia can, and will be, an inspiration to other developing countries. Malaysia can be that role model for democratic transition and change that is much-needed in the world today. Democratic nations have an obligation, therefore, to hold a watching brief as Malaysia prepares for elections.